Succulents are difficult to kill, which makes them great for those of us with thumbs that are not exactly green, but that doesn’t make them immortal. Even if you water them properly and give them the right fertilizer and light, they can still develop pests. 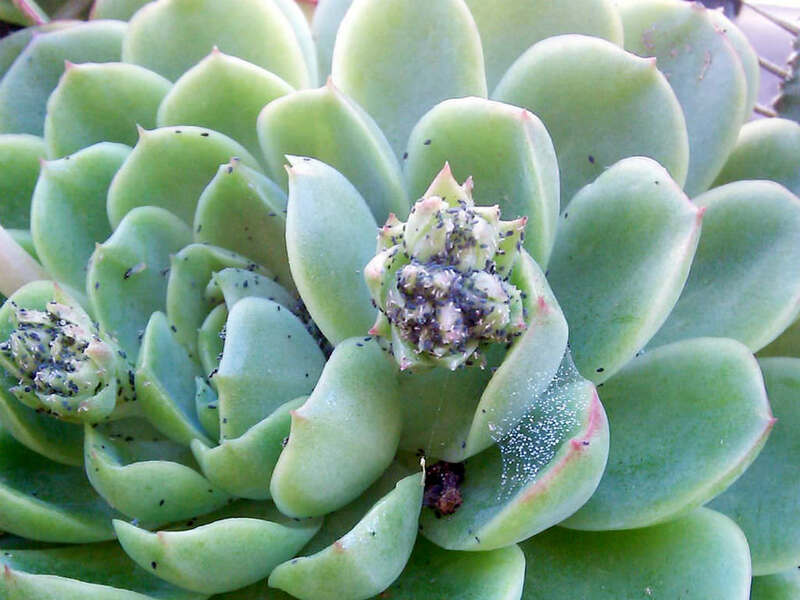 These harmful invaders range from mealy bugs to spider mites, to aphids, gnats, and beyond. Keep your cacti and succulents strong and healthy during growing seasons using a mild, balanced fertilizer. After autumn, you don’t have to feed your plants until the cold season ends. Make sure you remove dead leaves so bugs don’t have places to hide and breed. This also helps prevent mold from forming. Keep your succulents pretty dry. Keeping soil wet for long periods of time may attract mealy bugs, gnats, and other pests too. Never ever reuse soil or put dead leaves from plants that have been affected by pests into the compost pile. You don’t want any survivors or their eggs to infect any of your other plants. Pesticides can be used to deter or kill bugs and other pests in you plants. There are basically two types of pesticides: The first type are contact pesticides, which have to make contact with the pest to kill it. Then there are systemic pesticides, which get absorbed into the roots of the plant to poison the bugs that feed on the plants. Systemic pesticides are generally more expensive and come in a concentrate that needs to be diluted. To help prevent future pest infestations, you can regularly spray or brush your plants with a natural systemic pesticide containing neem oil. Neem oil smells kinda funky, but it’s a 100% natural product that’s non-toxic for humans and it repels all sorts of harmful insects.